Travis A., who is implementing Zingtree for a video technology company, was keen on using Zingtree to try to reduce his team’s support ticket load. He also needed to import a synopsis of the Zingtree session data into his Zendesk tickets so his tech support people could get some time-saving background information. Travis wanted to emphasize the condensed Q&A part of the session. Done! The Q&A view is now the default. Any “back” or “restart” button clicks no longer show in Q&A view. The answers clicked are highlighted, so it’s easy for a support person to see where the customer went at a glance. 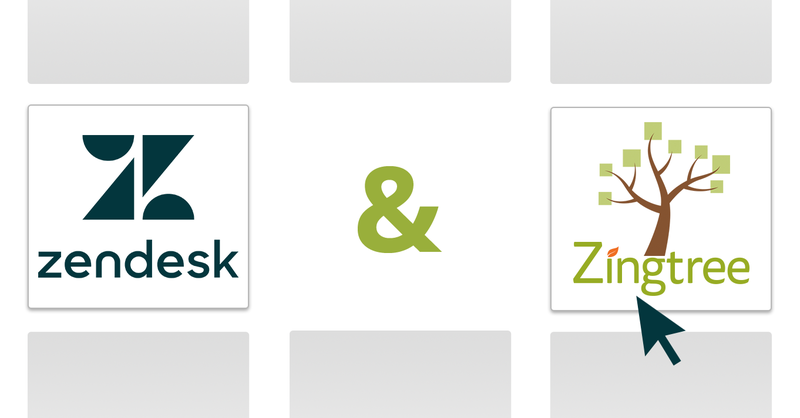 You can download the latest Zingtree Decision Tree Support app for Zendesk here. Need help installing the app? Instructions are here. Thank you, Travis, for the awesome suggestions!